Ascending Butterfly: Sunday, March 14, 2010 - This Week's 'Moment of Gratitude' and Great Giveaways! Sunday, March 14, 2010 - This Week's 'Moment of Gratitude' and Great Giveaways! Ƹ̵̡Ӝ̵̨̄Ʒ - I am filled with gratitude to see Ascending Butterfly reach a milestone I never expected us to reach before our one year 'blog-a-versary', the 1,000 google follower mark! 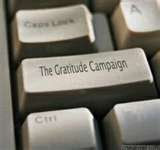 We now have over 1,000 inspiration seekers in our community, and over 1,100 email subscribers! I wanted to take a moment to thank each and every one of you for being here and making this momentous milestone possible! It's great to know that there are so many other inspiration seekers out there who want to make positive change in their own lives and the lives of others! Your vote is appreciated, winning this category will bring Ascending Butterfly the recognition that will help us attract more sponsors and offer more prizes to our loyal readers! This is not a daily, it's a one time vote only. If every Ascending Butterfly follower votes just once, we would sweep the category for sure! ENDING SOON ALERT: Ends Monday 03/15/10 at 11:59pm EST - Spring Into Bags Special Feature - Enter to win an Elliott Lucca Designer Bag! enter HERE! Great post and let me take the time to say thank you. You have inspired me and you have truly made so much apparent to me and have also become close to me. You always have time for me and though we are miles apart and have never met, you are as a good friend. I have told you many of my personal triumphs and fears and every time you have encouraged me and aided me when needed, so thank you.